‘Carpe Noctem!’ Oh, okay, let’s seize the day as well. 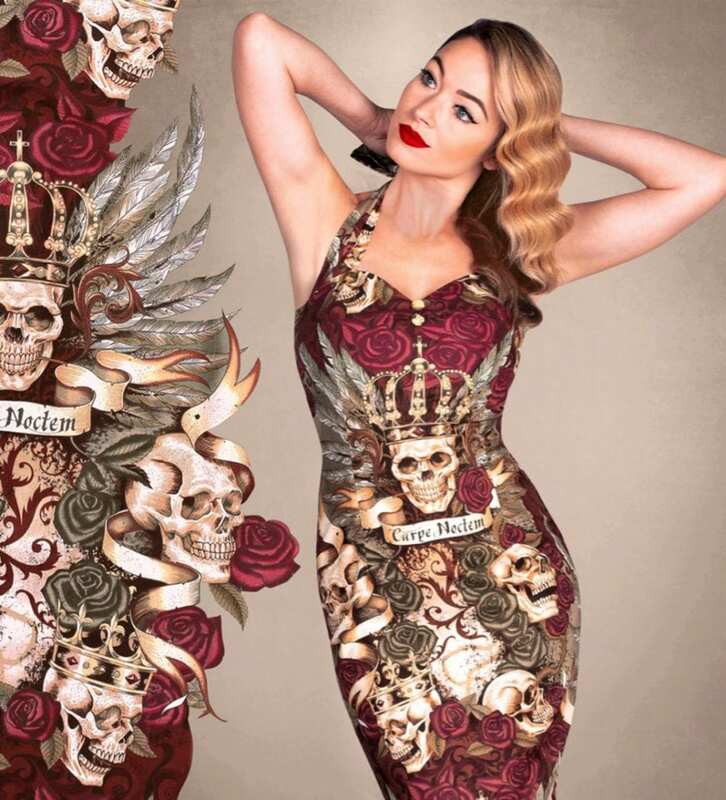 A sizzling 50s inspired halter neck pencil dress, adored with exquisitely printed royal skulls and roses; fiendish and macabre, but in this vintage wiggle dress you’ll look just peachy! 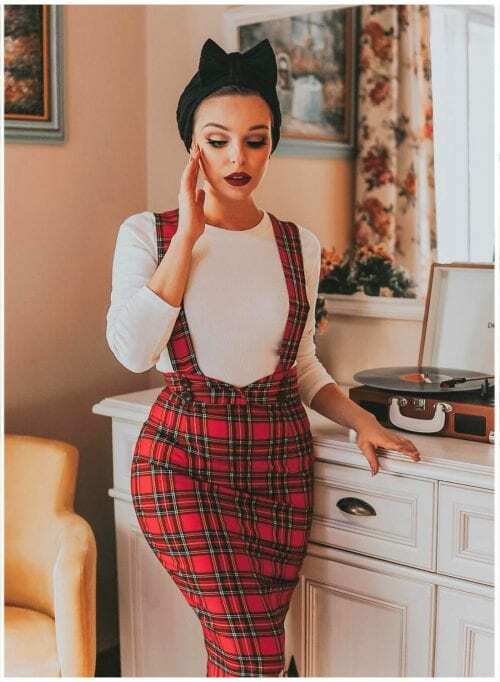 As with all British Retro designs, it’s those tiny details that make our pinup style gowns the best – cute covered buttons, a hidden zip and a lined boned bodice make our pencil dresses stand out. 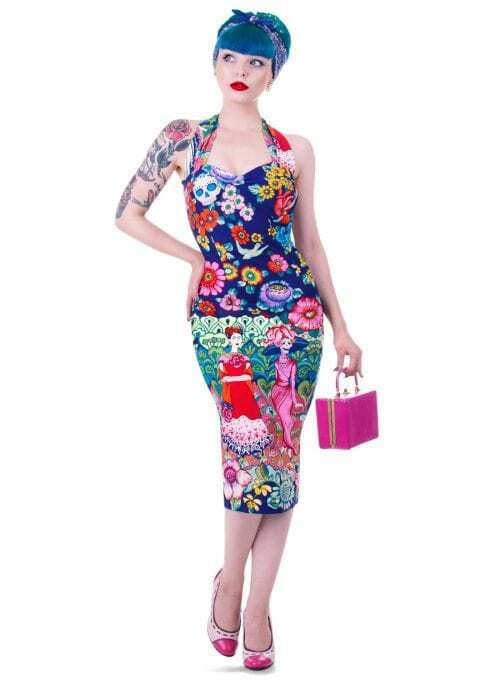 High quality non-stretch cotton will help keep the dress (and you) looking great, whilst a stretch cotton back panel will allow a little extra give around the bust to support and emphasise that vintage pinup silhouette. Seize the Night is the ultimate in 50s B-movie glamour!